Texas A&M University researchers found these 55-gallon drums at a known chemical weapons dumpsite near the mouth of the Mississippi River. They suspect mustard gas was leaking out. Texas has the closest dump, followed by Louisiana, "not far from where the Mississippi River delta area is," Bryant said. "Some shrimpers have recovered bombs and drums of mustard gas in their fishing nets. 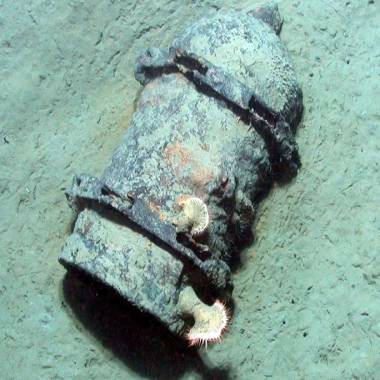 Texas A&M University researchers found this unexploded, 500-pound bomb at a dumpsite near the mouth of the Mississippi River in 2008. "No one seems to know where all of them are and what condition they are in today," he added. "The best guess is that at least 31 million pounds of bombs were dumped, but that could be a very conservative estimate. "These were all kinds of bombs, from land mines to the standard military bombs, also several types of chemical weapons," he said. "Our military also dumped bombs offshore that they got from Nazi Germany right after World War II. "Is there an environmental risk? We don’t know, and that in itself is reason to worry," he said. The hazards pose even more of a risk as the Obama administration and energy companies pick up the pace of drilling after the 2010 BP oil spill. 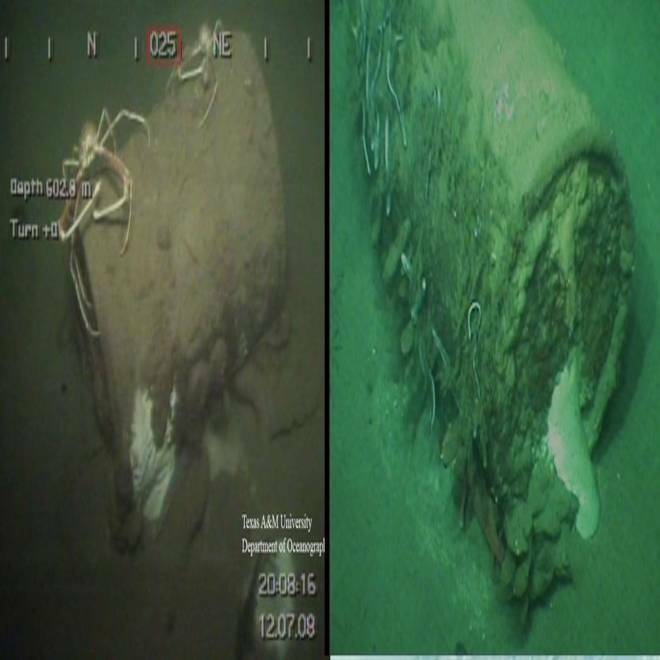 Ironically, unexploded ordnance was found in the offshore zone known as Mississippi Canyon where the BP well was drilled. This chart lists some of the munitions dumpsites in the Gulf of Mexico, and what's there. This chart lists some of the munitions dump sites in the Gulf of Mexico, and what is there.